Learn about the Dropcam wireless video camera. Similar to a home alarm monitoring service, the Dropcam wireless camera is a cloud-based wireless video monitoring service that helps you stay connected to your home, family, baby, pets and even your business. 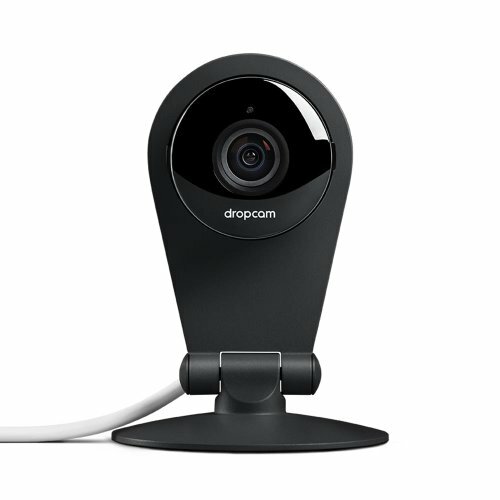 Simply connect the Dropcam security camera securely to your wireless network and start streaming live video. Receive activity alerts on your mobile device via email, tablet or computer when events happen. 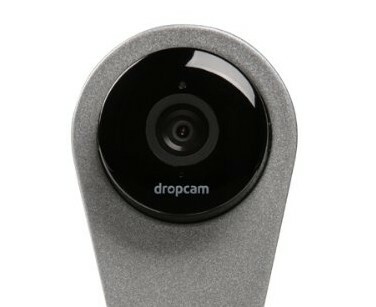 Dropcam is designed to be used as an indoor camera. It is not recommended as an outdoor camera, as the elements (rain, wind, heat, etc.) may damage the electronics. The camera will capture high quality 720p high definition video. Use the device to watch live video from any device such as your Apple Mac, Windows PC, iPhone, iPad, iPod Touch or Android phone. The video cam also allows two-way audio, so you can hear what is happening and talk to your kids, pets and even would-be burglars and thieves. Just download the Dropcam App and access a wireless network and watch live video from anywhere. You can even pan and zoom during viewing. In addition, it includes night vision capabilities, so video can be recorded day or night. This product allows you to receive alerts about camera activity via email or mobile device such as an iPhone. Just connect to the camera and view live camera footage on your mobile device and talk directly to people and see your pets. When paired with secure online DVR recording, you can watch live and recorded video from anywhere on any device. For an additional fee, Dropcam offers an optional Cloud Video Recording (CVR) feature that allows access to recorded video via the web from the past week or month. Use the Cloud Video Recording option to watch and share video with family and friends. Choose a location for the security camera installation. Select a location that has an unobstructed view. If possible mount the camera in a location that isn’t very noticeable and preferably out of reach. The device won’t do much good if a thief can take it down, or if they notice the device and avoid its line of sight. Plug the device into an electrical outlet. Make sure you have constant, uninterrupted power. After completing these steps, you’re ready to stream live video. Now, all you have to do is watch the streaming video from your mobile device, table or personal computer. Since a wireless network connection is required, any interruption in your wireless network connection will interrupt the video streaming, or will degrade the quality of the video. If you have any questions about the Dropcam Wireless Camera, please post a message below. Also, learn about other types of specialized equipment used by investigation experts.